Kosaku Hatanaka (Kazuya Kamenashi) is a talented boxer who turned pro at the age of 19, winning his debut match with a first round KO. He is talented, but he has no guts. His uncontrollable appetite is an even bigger problem. He can’t put himself in the right weight class, he runs out of energy because of hunger, and he gets knocked out while his eyes are set on food at the ringside. Kosaku’s life has changed ever since he met Sister Angela (Meisa Kuroki), a novice nun in the convent near his boxing gym. Sister Angela became the source of his power, and Kosaku fights only to win the heart of Sister Angela. In each episode, Kosaku has to beat his unique opponents: a retiring boxer, a middle-aged boxer, a chicken hearted boxer who can’t punch, etc. In addition, he has to overcome his strong appetite, hard training, seduction to skip training, and interference from his rivals. 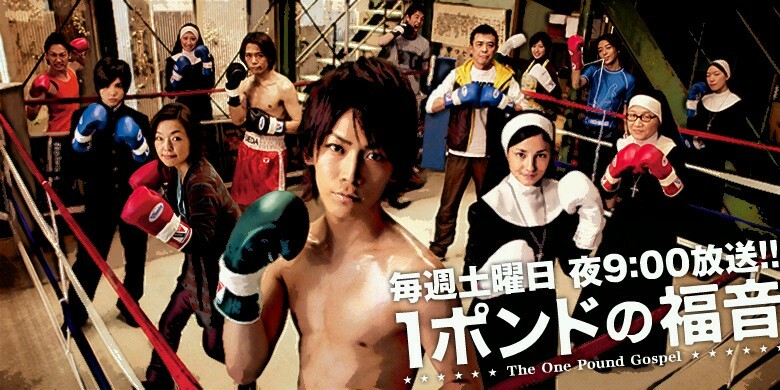 Can this boxer with no guts become a Japanese boxing champion and win Sister Angela’s heart?